The discovery that Volkswagen’s US models were fitted with a device that automatically cheated environmental tests will cause huge damage to the firm. Already, facing fines that could reach $18bn, the company’s shares have plunged 23%. However, fines may only be the most concrete issue; a company that has long traded on its reputation – remember “If Only Everything in Life was as Reliable as a Volkswagen”? – has been caught misleading its customers and breaking the law on environmental emissions. The damage to its reputation could cost the firm significantly more than the fines. This seems symptomatic of a broader issue. An attitude of casual contempt for the customer appears to have taken hold in large, out of touch businesses. Retail banks are struggling to rebuild trust after a generation of treating their customers as a captive market for often inappropriate products. As a consequence, new entrants with seemingly straight-talking products, like PayPal’s Working Capital offering that gives merchants instant, short-term loans against the future value of their trading history, are being greeted as a breath of fresh air. The major supermarket chains are in a similar state. A decade or more of declining quality, shrinking quantities, deceitful packaging and dodgy pricing has left customers feeling fleeced. Casual contempt goes beyond pricing. It is betrayed in the way an organisation responds to everyday issues. For example, supermarket shoppers are used to buying relatively small, high-value items in outsized plastic security boxes that only check-out staff can unlock. While inconveniencing the majority of honest customers, this has been inadequate in deterring shoplifters. In their arms-race against the minority, Tesco now hangs the plastic boxes on a security spiral. This requires shoppers to stand and unwind the product from its hateful helix before then taking it for approval at the check-out. 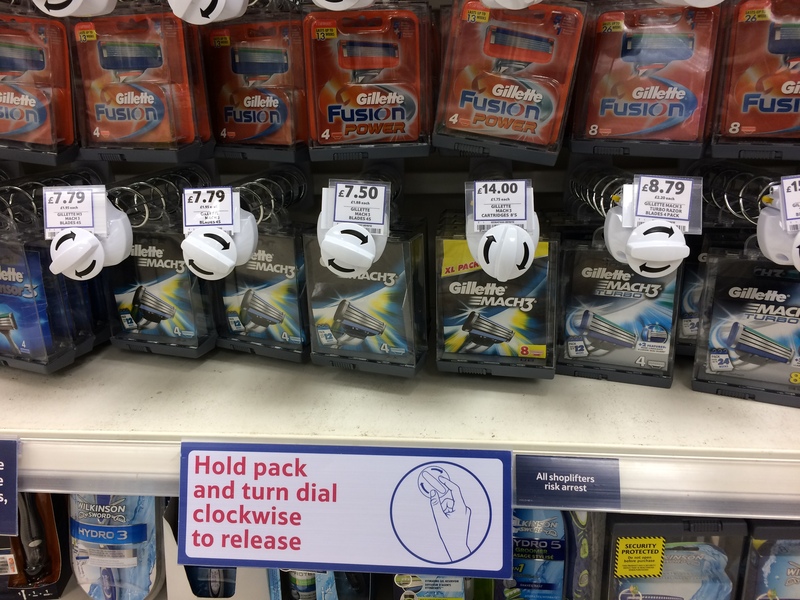 It’s a relatively minor issue (though sufficient for this author to find an online razor supplier of blades at two-thirds the price) but a disproportionate response that betrays a disregard for genuine customers. Little wonder then, that new entrants like Lidl and Aldi are growing so rapidly. The High Street incumbents appear to view the competition as winning purely on price. This misses the point almost entirely. Yes, Lidl is (often surprisingly) cheap, but the quality is often surprisingly good, too. There are trade-offs of course – the product range is smaller, Lidl seems to suffer long check-out queues – but the finished offering has an integrity that big name supermarkets in the UK have traded away. For too long, big business has been in relentless and myopic pursuit of short-term results. It’s time to realise that long-term profits come from customer loyalty, from trust and integrity – a reputation that takes, in Volkswagen’s case, nearly 80 years to build but maybe just one bad news cycle to destroy. It all adds up when your ability to go grocery shopping is limited ! !